Usually cities are defined by what they have. Think Paris and street-side cafés and the Louvre jump to mind. These visual clues to 'place' become object-like clichés - suitable stand-ins for the city as a whole. Want to make Toronto look like New York? Just litter the streets with a few yellow cabs and you're done. Perhaps it is symptomatic of how cities have always operated - a kind of bravado that manifests itself in visual symbols of extreme pride. Contemporary manifestations of this effort often take the form of allegiances to professional sports teams, for example (even though it's very rare to have someone on that team who is from that city). The Italians perfected the idea of city-as-self-actualized-entity in the 12th, 13th and 14th centuries when they went to war with other cities and announced their victories by dragging back actual bits of the conquered places. 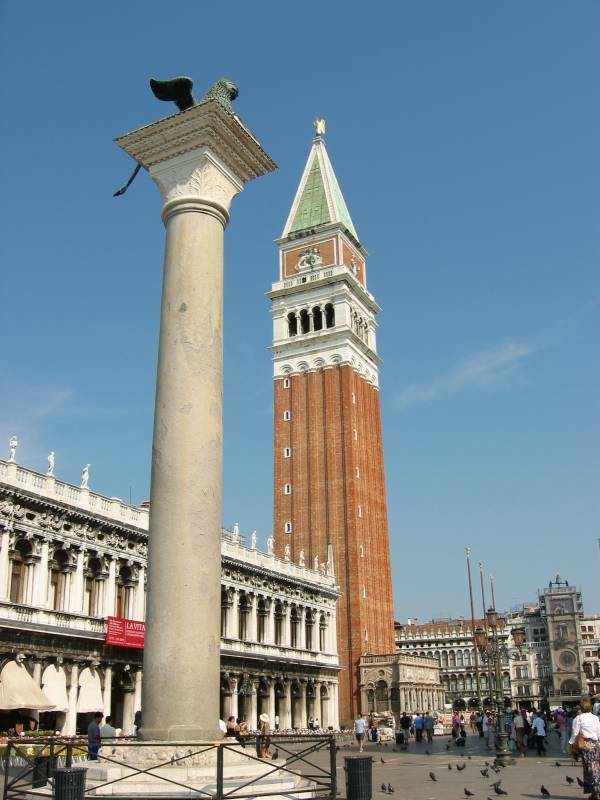 Think of those famous columns at the entrance to Piazza San Marco. Ah, Venice. City of canals, vaporetti, and stolen merchandise. This recent post over on RT got me thinking about this idea of an object-oriented view of a city; it made me realize that, on the whole, Montreal does not have newspaper boxes (except in Westmount). Thus what follows in an inverse description of Montreal, using absence to describe the presence of place. (I've used Toronto as a convenient example here). If you can think of other things to add to either list let me know. And if someone over in RTland wants to start a Montréal version it might be interesting too. Next entry: Tell this man what you think.